Tennis Twist's adjustable range makes it practical for use in driveways, backyards, and even basements. And since it weighs just 11 lbs., it's easily transported to the local tennis courts or park. 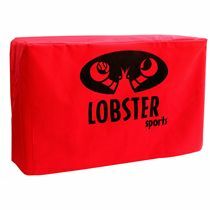 A high-impact plastic case, with convenient built-in carrying handle, will stand up to years of use. And its single motor design is engineered to provide years of trouble-free service. Tennis balls and basket are not included with the machine. 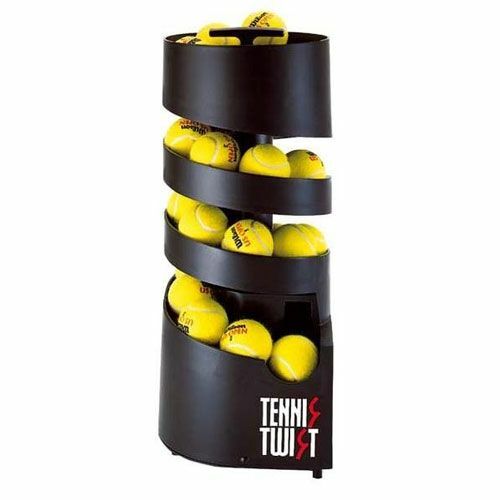 for submitting product information about Personal Tennis Twist Ball Machine We aim to answer all questions within 2-3 days. for submitting product information about Personal Tennis Twist Ball Machine. We aim to answer all questions within 2-3 days. If you provided your name and email address, we will email you as soon as the answer is published. Do you sell re-chargable battery pack and the charger as well? Will the batteries last a whole hour in constant use? Yes, the batteries will last a whole hour in constant use as the manufacturer states that playing time (Battery Model)is 5-10 hours. Is the machine supplied with batteries and if yes which ones? 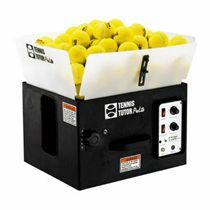 The Personal Tennis Twist Ball Machine is supplied with 4 big Duracell Power D batteries! Begin practising the second you get it! do tennis balls come with it? No, the tennis balls are not included. I have bought this product and it is very good i use for Tennis, Catch, Cricket, Baseball etc. for submitting product review about Personal Tennis Twist Ball Machine.